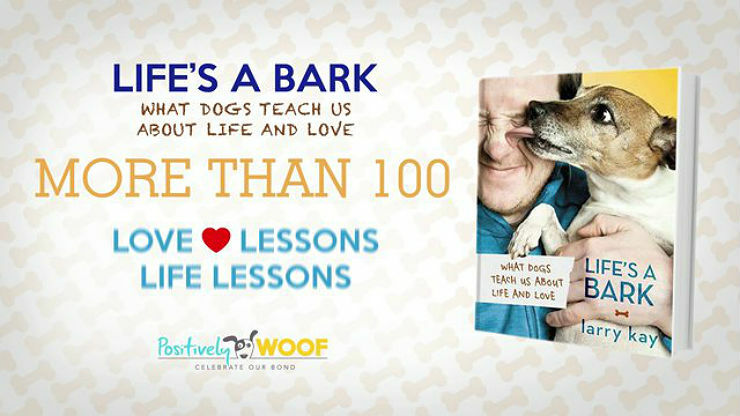 In “Life’s a Bark” author Larry Kay teaches us that there are several wonderful life lessons we can learn from Man’s best friend. The book, which can be easily read on a short plane or car ride, illustrates many examples of how dogs deal with things such as receiving praise, impulse control, accepting love and gaining respect. For every example of dog behavior, Kay draws a human parallel to how we can use the dog mind-set to shape our everyday lives. In one excerpt, Kay writes, “Walk like you’re the biggest and most beautiful dog in town: a brand-new hound of unknown origin. You don’t need to do anything to be given respect.” Tips like these are common throughout the book and provide the reader with many chances at self-reflection while giving room for improvement. Life’s a Bark is filled with many pictures of dogs surrounded by beautiful backdrops of nature that will make you want to take your dog on a long walk on the beach or in a large field of grass. Although I wish this book was a little bit longer, I thoroughly enjoyed all the life lessons and tips on love that is illustrated throughout the book. There are so many things we can learn from our dogs if we just stop and pay attention once in awhile!